Theresa May has pitched herself tonight against Parliament on the side of the people. On her own side, some MPs have openly questioned the merit of her evening at the podium - toxic and delusional are some of the descriptions given. 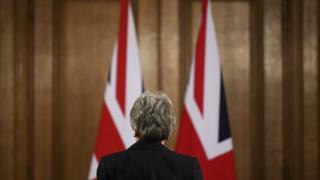 Yet Theresa May's allies say, at this vital moment, she felt it imperative to express that she has a line - staying in the EU three years after the referendum - that she is not, as prime minister, willing to cross. For those Brexiteers who want her gone, that is not, it's understood, a promise that she would quit in return for support for her deal. But No 10 must know too that choice, her fate, is not just in her hands, but in Parliament's and, as she prepares to travel to Brussels, in the grasp of the European Union.